The Committee Room looks at how literature has been treated by the mainstream American media as we take an accounting of the literary figures deemed notable enough for Time to put them on its cover. Time was founded by two young Yale graduates -- bon vivant Briton Hadden and sober-minded Henry Luce -- with the aim of keeping the "busy man" well informed. Its first issue appeared on March 3, 1923. On the cover was elderly former Speaker of the House Joseph Cannon, an Illinois Republican who was retiring from his Congressional seat after a record breaking number of years in office. 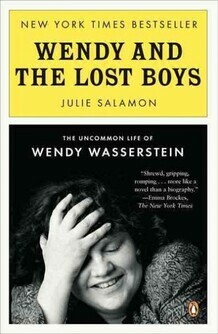 Time's first author cover came early on. 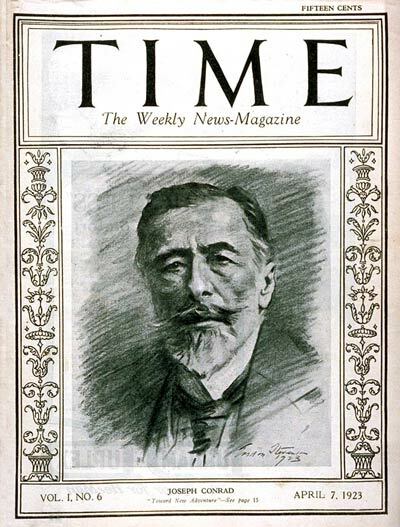 The cover of its sixth issue, published on April 7, 1923, offered a sketch portrait of Joseph Conrad. The accompanying article -- a few paragraphs about Conrad making his first visit to the United States -- was without a byline since all Time articles were supposed to be a collaborative effort of the staff, a practice the magazine continued for many decades.